A breakdown guarantee extending the normal manufacturer warranty to up to 36 months. So for any goods worth more than 150€ which come with a manufacturers guarantee you will have extended cover. The goods must be purchased with your above mentioned card to benefitfrom SécuriPANNE. A guarantee in the event of goods purchased within 60 days being stolen or damaged. If your goods are worth more than 75€ and purchased with the above mentioned card you will be covered for the costs of repair or reimbursement corresponding to the purchase price. Accessing the money in your French bank account wherever you may be in the world is indispensable. Here are some of the options available to you. 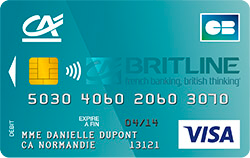 If you travel widely or just prefer using your cards for all payments, take a closer look at the new CA Britline cards that have been created for you and compare them to the existing standard options. 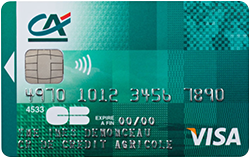 Annual fees apply to French debit cards in general but don’t forget that these cards also come equipped with Assistance, Basic Travel Insurance or Full Travel Insurance for yourself and your family (conditions apply). 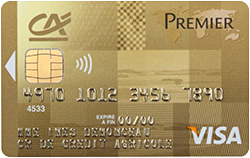 Other cards are available, notably Visa Infinite or Mastercard World Elite which also include other payment guarantees and wider services, such as an international ‘conciergerie’ – for details speak to an adviser. *Terms and conditions apply. Offer applicable from the 4/3/2019-subject to change. Not applicable to any card with an annual fee of under 30€. Offer cannot be combined with the 30€ advantage received via the 'Welcome Offer' when opening a new bank account. 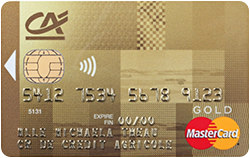 In order to benefit from the offer the associated account must not have been equipped with any card during the previous 12 months. Reimbursement of the 30€ on to your account will follow within the 94 days following contract subscription. Offer applicable to 1 card only per account. (1) Subject to acceptance of your file, subscription is available to any person aged 18 years or over and accountholder with CA Britline. Ask your adviser about the availability, terms and conditions of use and the annual card fee. 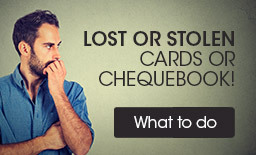 Debit cards: cards that are debited immediately, cards with systematic authorisation. Payment transactions are debited from the linked account within a maximum of 48 hours. 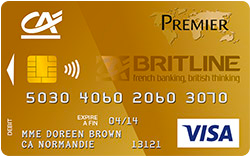 (2) Zero fees when making purchases or withdrawing money abroad with your CA Britline Classic or Premier debit card. Local costs may apply. (3) Although CA will not levy a charge for using these ATMs, always check any charges that may be levied by local banking networks in the country you are in. 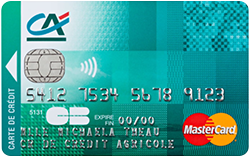 (4) Within the limits and conditions provided in the assistance and insurance contracts subscribed to by Crédit Agricole Assurance Paiement, insurance broker registered with ORIAS under no 10 058 272 (www.orias.fr), on behalf of the cardholder. For assistance: Mutuaide Assistance (8/14, avenue des Frères-Lumière 94366 Brysur-Marne Cedex). For insurance: CAMCA (53, rue La Boétie CS40107 75380 Paris Cedex 08). These companies are subject to the control of the ACPR (61, rue Taitbout 75436 Paris Cedex 09). 5) Assistance and insurance contracts are subscribed to on behalf of those insured by CAMCA Courtage mandated by the issuer by Mutuaide Assistance (8/14, avenue desFrères-Lumière 94366 Bry-sur-Marne Cedex) for assistance and by CAMCA (53, rue La Boétie CS40107 75380 Paris Cedex 08) for insurance. CAMCA, insurance broker registered with ORIAS under no 0700217 (www.orias.fr),limited company with consolidated capital of 625000€ untied funds. RCS Paris 428 681 985; Head office 53, rue la Boétie 75008 PARIS. These companies are subject to the control of the ACPR (61, rue Taitbout 75436 Paris Cedex 09. SecuriPanne and SecuriShopping cover insured within the limits and conditions in place, available from your Caisse regionale. The guarantees outlined in the insurance contract subscribed to on behalf of thoseinsured are covered by CAMCA Courtage, issued by the Caisse regionale de Credit Agricole Mutuelle, with the Caisse d’assurance Mutuelles Credit Agricole (CAMCA). CAMCA Mutuelle: mutual insurance company with variable contributions, 53 rue de la Boétie, 75008Paris registered with the INSEE under no 784 338 00053, company governed by the Insurance code. CAMCA Courtage (address above). These companies are subject to the control of the ACPR (61, rue Taitbout 75436 Paris Cedex 09.